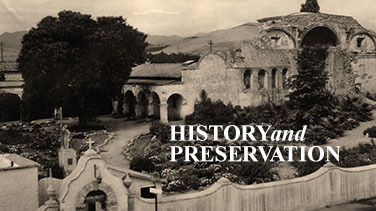 The gardens you see today are very different from the early days of the Mission. In the 1700s and 1800s most of the planting was for agriculture and sustenance. Crops were grown for food and for trade, although there are many mentions of ornamental plants being grown during that period. In addition to plants for food and trade, herbs were grown both for flavoring and medicinal purposes. Even though the purpose of the gardens has changed, many of its traditional plants are still grown today both for color and scent, and to keep the traditions alive. Start Time: 10:00 a.m. and 10:30 a.m. 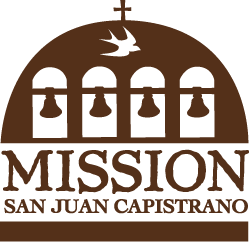 Location: Guests wishing to tour should meet at stop #1 on the Mission Map and Guide. 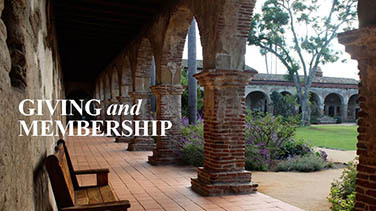 Purchase a copy of the Mission San Juan Capistrano Plants & Gardens Guide for $2.00 at the Mission Store.